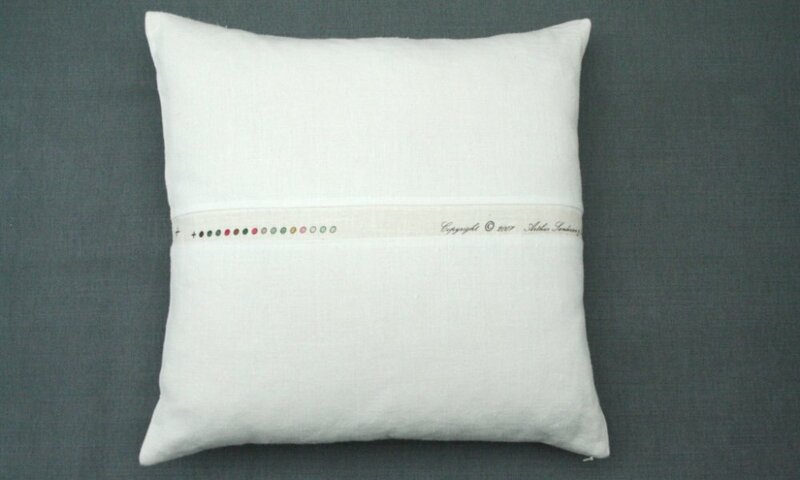 50cm square cushion in white linen with white selvedge strip stitched in vertically. Reverse has strip stitched in horizontally. Cushion has concealed zip, feather pad and is the original selvedge cushion! This cushion is dry clean only. 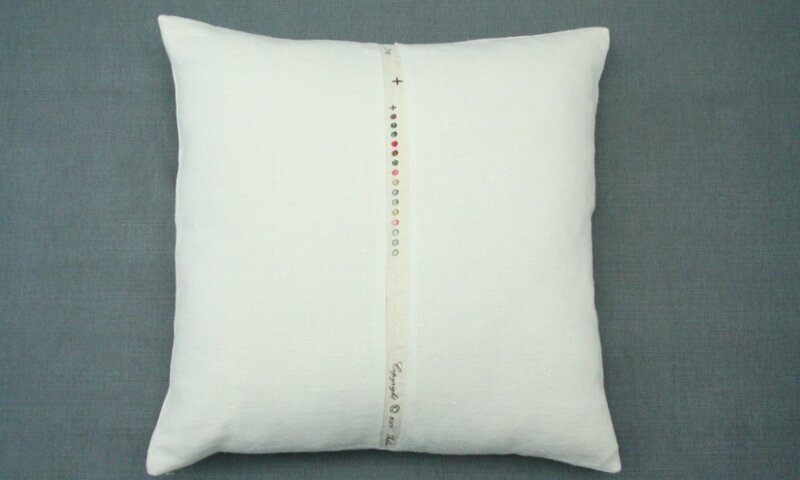 Each edge white cushion is slightly different due to the limited availability of the selvedge used for the graphic strip.